The Chicago River & Indiana, also known as the Chicago Junction, was a wholly-owned subsidiary of the New York Central which handled various switching and interchange chores in Chicago. Here a Santa Fe transfer run led by no. 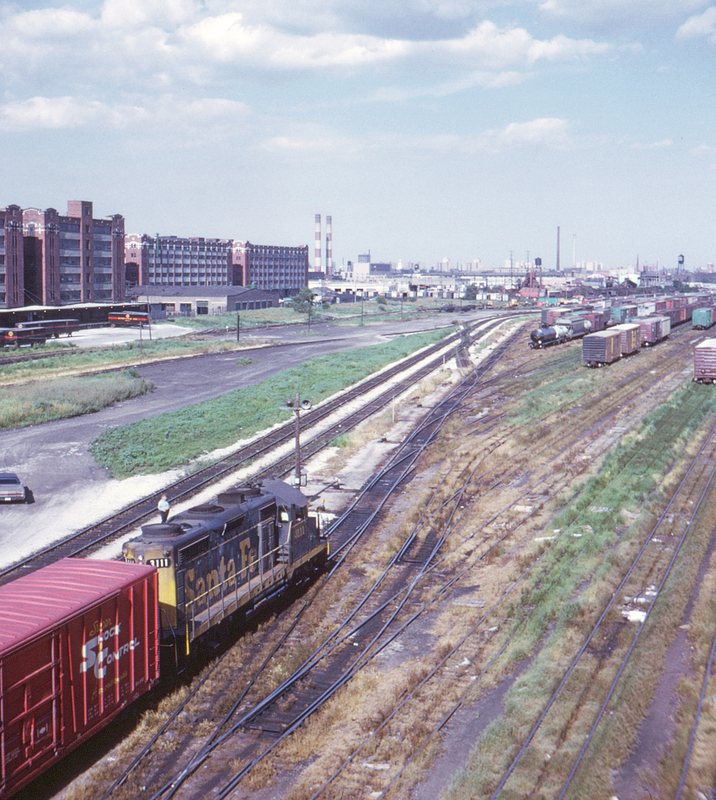 3111 enters the CR&I's Ashland Yard as seen from South Damen Avenue (a view which no longer exists, as the bridge has been since removed). This view looks east.